Doris Daum wasn’t looking for a move to a senior citizen housing complex when her friend suggested she take a look at The Maple Residences in Steveston, Richmond. “I lived alone in a large townhouse,” she says, “It was a lot of work and expensive to keep up, so I thought about moving to the Maples, put my name down and decided to give it a go for three months.” That was in 2012 when The Maple Residences opened its doors. “I’m still here,” she laughs. While The Maples offers dining options for breakfast, lunch, and dinner, as well as morning and afternoon tea, residents have an apartment-sized fridge in their suites together with a microwave. 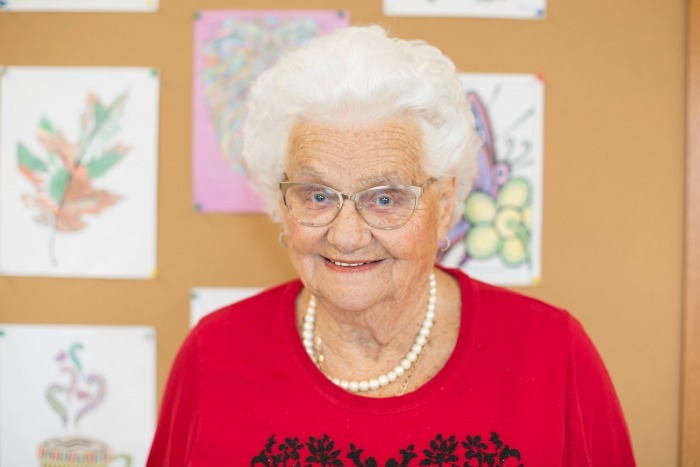 “I always have the option to stop in my suite and have a bite to eat if I prefer,” says Doris.